They finally did it yesterday, Square Enix have officially stated the long awaited next MMORPG from Square Enix will be released on September 30th with a collectors edition for us lucky European folk out on the 22nd of September. Best of all, if you pre-order the collectors edition, you’ll get some extra goodies (besides being able to access the servers a week early) in game and a few out of game things like a wall map too! Bad news for PS3 owners though, you’ve got to wait until 2011 as the PS3 version has been delayed! 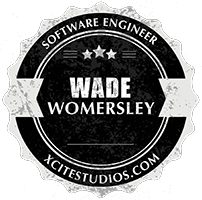 wade.one | Powered by Mantra & WordPress.